This collection of essays provides educators in medicine and the health sciences an illuminating and challenging introduction to professionalism. 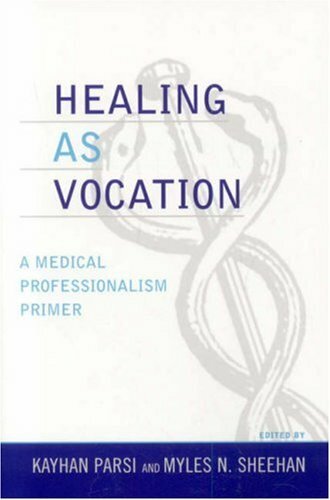 The book takes a practical approach toward this topic, looking at what professionalism means, for the individual physician's relationship to his or her patients, the medical profession as a whole, and to society at large. The essays are written by leading scholars and thinkers in the area of professionalism in medicine. Although the intended audience is primarily physicians, medical students and residents, the book is a suitable primer for pre-professional health care students as well.